In a statewide effort to curtail yet another destructive wildfire season, Santa Barbara County is set to receive up to $250,000 in state funds to clear away dead brush and trees that fuel wildfires. CalFire crews will be working in the San Marcos Pass, Painted Cave, and Mission Canyon areas to clear vegetation along roadways and create defensible space around homes. According to Captain Fred Tan, the Santa Barbara County Fire vegetation management officer, the majority of the work will involve clearing grasses and brush along the 101 and Highway 154. “Eighty-two percent of fires in Santa Barbara County begin along some type of roadway because we are one of the avenues between Northern California and Southern California,” said Tan. Crews will also be clearing brush near homes to create safer access points for firefighters and evacuation routes for residents. In total, the projects will cover 300 acres of land and several miles of roadway. The projects are in response to an executive order issued by Governor Gavin Newsom directing CalFire to recommend steps to prevent and mitigate wildfires across the state. CalFire has pinpointed 35 locations where fuel reduction activities could significantly reduce the potential for wildfire spread. According to Tan, the Santa Barbara County Fire Department is focusing its efforts on these three areas because they have “significant fire history and potentially have significant meaning for loss of life and property.” The Painted Cave project lies in the footprint of the 1990 Painted Cave fire, which destroyed nearly 500 homes and killed one civilian, making it one of Santa Barbara’s most destructive wildfires in recent history. But some opponents say vegetation management isn’t the best way to reduce the impact of wildfires. 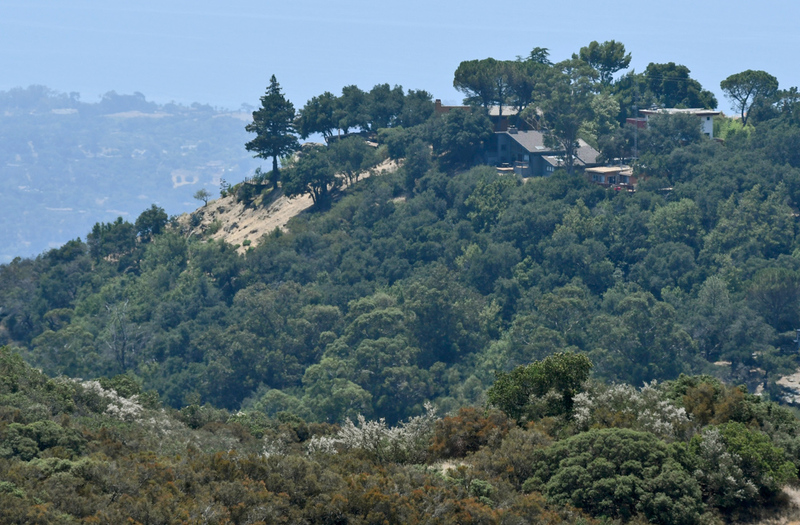 According to Bryant Baker, the conservation director for Los Padres ForestWatch, removing native species of vegetation is not an effective way to prevent or mitigate wildfires. When native species, like chaparral, are removed to create fuel breaks, they are replaced with finer weeds and grasses that are actually more flammable and can create ignition zones. The Santa Barbara County Fire Department will begin work on the projects as early as May. CalFire expects to finish the 35 statewide projects by the end of this year.